Choosing gutters has never been easier with our attactive and durable products. Thanks to its many ingenious and unique design solutions, Lindab Rainline has become the preferred gutter system by most professionals. With its unique hand-in-glove fit and overall quality it guarantees quick installation and a high functionality – for decades to come. 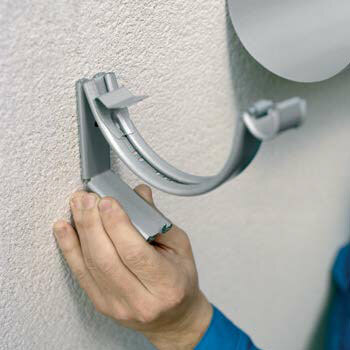 This hanger can be adjusted to match any fascia board angle. Strong and extremely easy to fit. 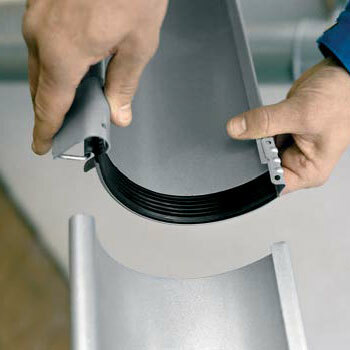 These ends are self-sealing with an EPDM tube. They are interchangeable and easily fitted with a single firm tap from a soft hammer. Constructed from a solid piece of steel, the downspout bracket mounts a downspout with one simple click. 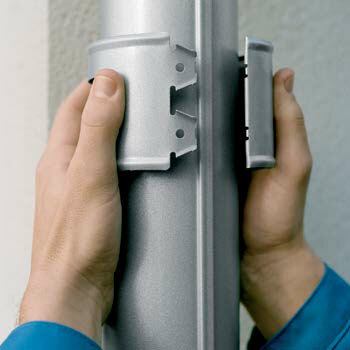 These gutter connectors are easy to fit, creating a very firm and durable joint. The joints are guaranteed leakproof with a long-lasting EPDM seal. 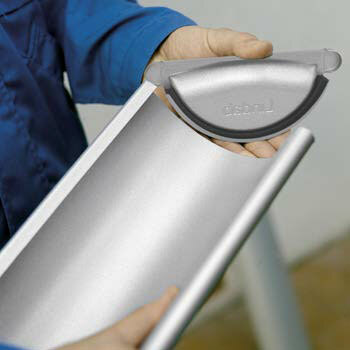 This versatile gutter outlet easily fits to the half round shape of the gutter. 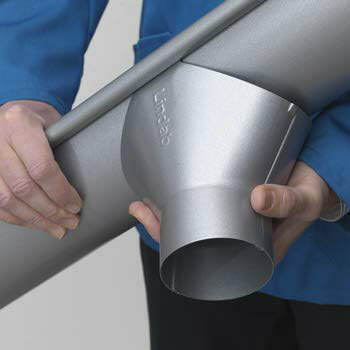 The large diameter hole created when installing the outlet allows for debris to easily drain from the gutter; plus the extremely efficient half round design keeps the bottom of the gutter from becoming obstructed.